Two top officials of the Nigerian Prisons Service have been retired from service. 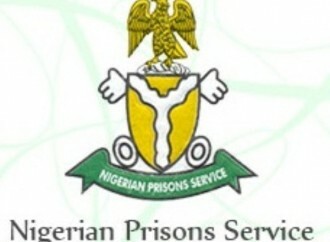 The spokesperson for the prisons service, Francis Enobore, announced the retirements in a statement. The statement said, “Following the appointment of Ja’afaru Ahmed as the Controller-General of the Nigerian Prisons Service, the Civil Defence, Fire, Immigration and Prisons Services Board ( CDFIPB), in an emergency meeting held on the 27th of June, 2016, approved the retirement of a Deputy Controller-General and an Assistant Controller-General of Prisons from the service. “They are Aminu Suley, mni and Ali Bala Salami, mni respectively. “The letter signed by the Secretary of the Board, Alh. A. A. Ibrahim dated 28th June, 2016 indicated that the decision was taken due to the officers’ seniority in service to the new Controller-General of Prisons and in consonance with military and paramilitary convention.